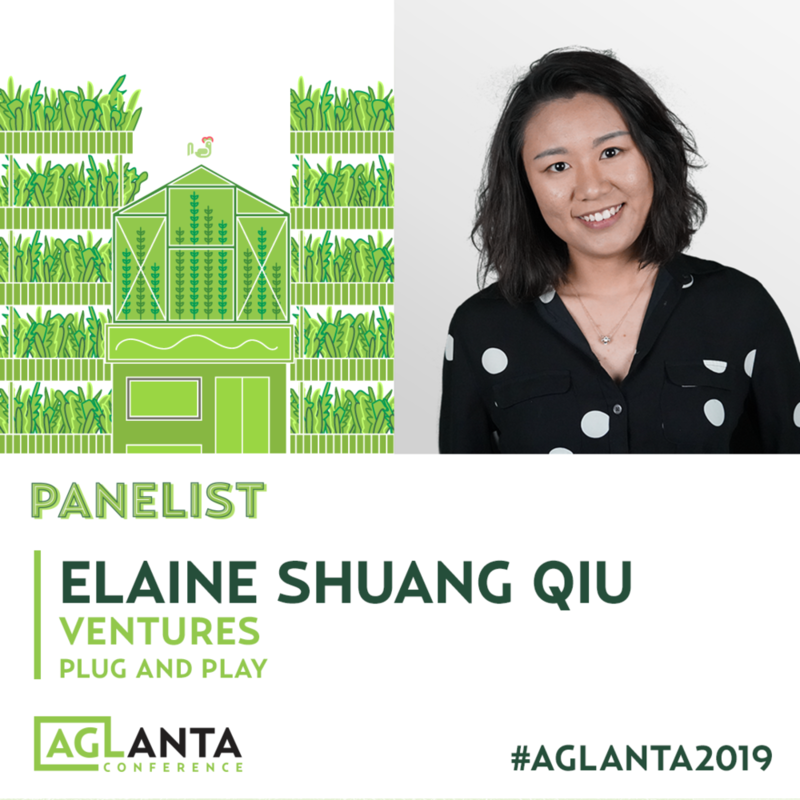 Elaine Qiu is a Ventures Analyst at Plug and Play (PnP) Ventures, focusing on early stage investment for Food-Tech and Agri-Tech. As a Ventures Analyst, Elaine has worked with teams from Tysons Food, Smithfield, DuPont, Taylor Farm, Mondelez, and other large corporations to find and implement frontier technologies. She works with the food entrepreneur communities internationally through PnP's operations in Asia and Europe. AGR: Hi Elaine! Tell us about your background and how you got involved in Food and AgTech? ELAINE QIU: My interest in the Food and Ag industry first started in college. I grew up in an urban environment without much exposure to the ag industry until I was studying agriculture systematically in China. After 2 years of intense academic training, I transferred to the U.S. where I picked up more hands-on skills by working in the field. The actual farming experience not only kept me grounded and close with the industry but also led me to various roles across the food supply chain, including: produce buyer, policy consultant, farm operator, and my current investment role. I’ve been fortunate enough to have the opportunity to explore and form a holistic view of the industry. How does Plug and Play support start-ups? Plug and Play is the leading Global Innovation Platform - we connect, empower, and invest in tomorrow’s innovators. More specially, we support startups through 2 folds - investment and network platform. First and foremost, we are very active early-stage investors. Plug and Play had many successes building a large portfolio, investing in over 200+ startups annually across 15 different industries and 30 locations around the world. Beyond investment, we’ve developed a world-class ecosystem that provides entrepreneurs the best opportunity to succeed by bringing together startups, investors, mentors, and Fortune 500 corporations. We have a team of 500 employees dedicated to facilitate and help with business development opportunities. Where do you see the industry going based on the AgFunder report? AgFunder aggregated large datasets that help to present the overall industry dynamic, along with highly relevant insights. One part I particularly agree with, is that the investment market is getting more mature and more investment will be made in innovation at both the field-level and the R&D level to capture upstream opportunities at the top of the food supply chain. Past performance is no guarantee of future results, but it can be a fairly good indicator. The Food and AgTech investment records are solid reference points. Thinking farther into the future the industry will see increasing cases of cross-industry and cross-discipline pollination. What obstacles are AgTech entrepreneurs facing when it comes to fundraising? The main obstacles AgTech entrepreneurs face when fundraising are: getting on investors radars and demonstrating enough traction. Investors are always hunting for good opportunities, however, not all entrepreneurs are not able to demonstrate they are achieving progress in the market by way of measurable outcomes, e.g. growth metrics. Another obstacle, unique to agtech, is being able to build trust and connections with farmers. This part can be especially challenging for heavily tech oriented startups. However, If you have a solid traction and a good business model then fundraising shouldn’t be too much of a hurdle to overcome. What advice would you give to startups who are looking for funding? You should be the best salesperson/PR/marketer for your company! Network a lot and don’t be afraid to ask for help throughout your network. Form a strong team of advocates for your company that will both help expand your network and grow your connections. It’s much easier to grab the attention of VCs and other institutional investors if you have a strong voice in the market. Top 3 favorite books or podcasts that all entrepreneurs should check out?! Planet Money! I promote this podcast whenever I can. They are the best storytellers. All books from Yuval Noah Harari! Out of control by Kevin Kelly! What can we expect to hear from you at AgLanta2019? I’m hoping to provide a mix of advice on cross-disciplinary inspiration, dealing with corporate collaborators/innovators, and general advice on pilots and scaling for startups. Meet Elaine Qiu at The AgLanta Conference, April 14 & 15 in Atlanta, Georgia! Elaine Qiu will be speaking on the panel PILOT | Creative Strategies for Proving Your Concept.